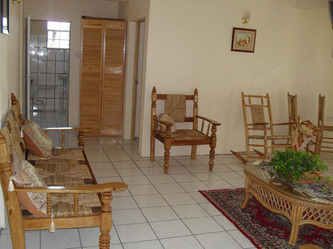 New fully furnished Piton Vista Apartment is available for rent AT US $99 PER NIGHT. The apartment has two bedrooms and two bathrooms set in a lush Caribbean style, a tropical living room, and an open kitchen combined with the exotic dinning area. The apartment is particularly furnished with St. Lucian made wicker furniture combined with locally woven white cedar chairs. 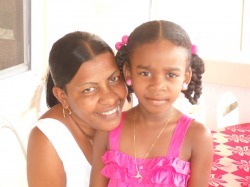 Owner Joanna & Daughter Shanatta Featured in Image. 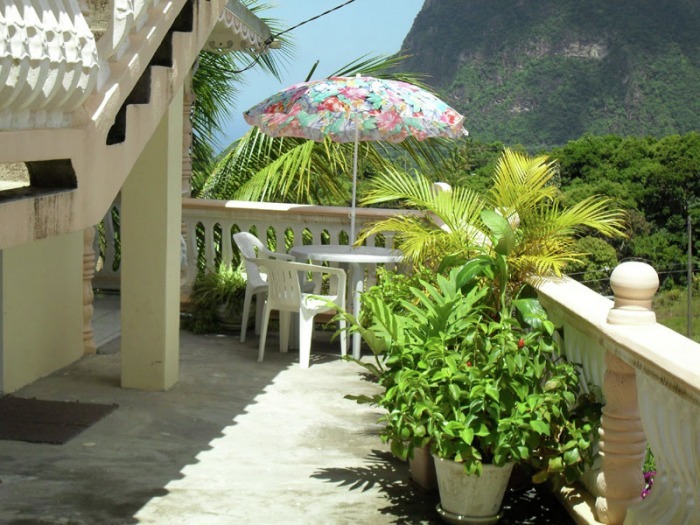 The panoramic balcony invites a majestic view of the world famous Pitons, the Caribbean sea, and St. Vincent with some of the most spectacular sunsets found anywhere in St. Lucia. Watch the many species of birds indigenous to St. Lucia right from the balcony, or from the many acres of surrounding land.The surroundings are lush and verdant with abundant fruit trees, tropical flowers, and locally grown vegetables. Large balcony for outside dining. Island and rainforest tours and excursions are available by Islander. 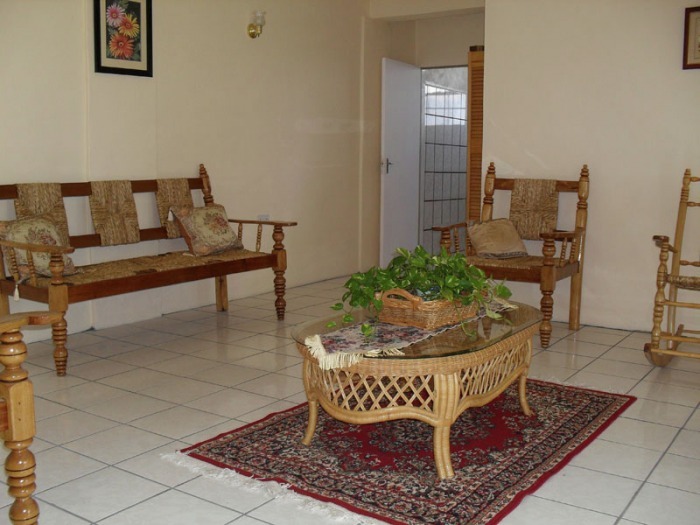 Fully Equipped Kitchenette - Coffee Maker, Refrigerator, Stove, Pots & Pans, Crockery, Cutlery, Glasses, Mugs, Etc. The Villa Apartment is located in Victoria, Soufriere. It is approximately a 15 minute drive from the town and the world famous Sulfur Springs drive in volcano, with easy access to the beach. You pay only US$99.00 Per Night.